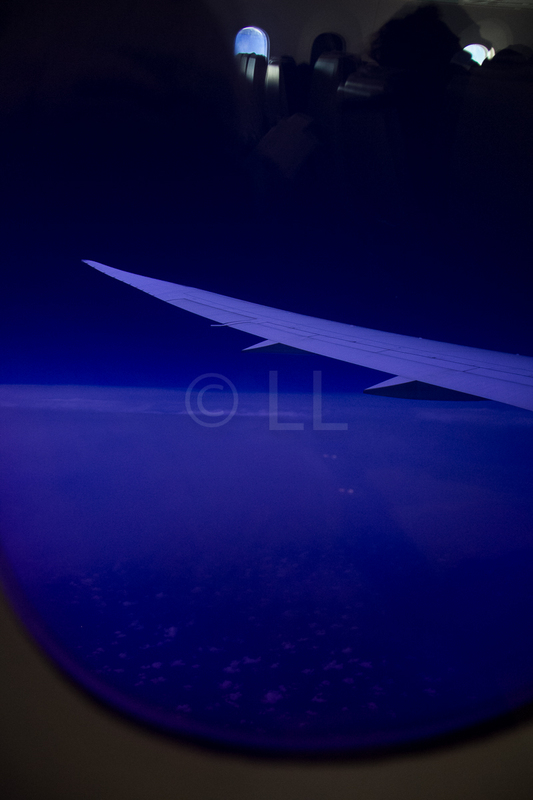 The ambient lighting is very pleasant and despite the range of colours that cycle through, it's not really evident as it doesn't change the colour of what's in the cabin. Web check-in is not available at airports other than Singapore and the queues are long. The 90mins they advise you to allow for all pre-boarding formalities is insufficient if the flight is quite full. 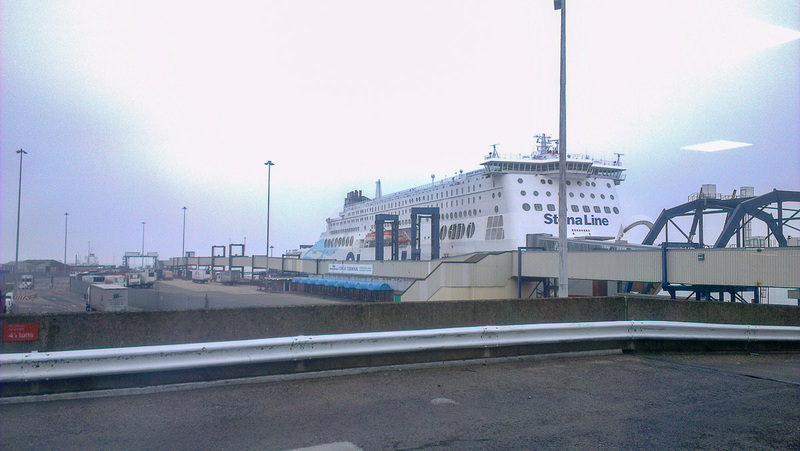 Food and beverages sold on board are limited in choice. If you are able to get a good deal on your ticket price then go for it. 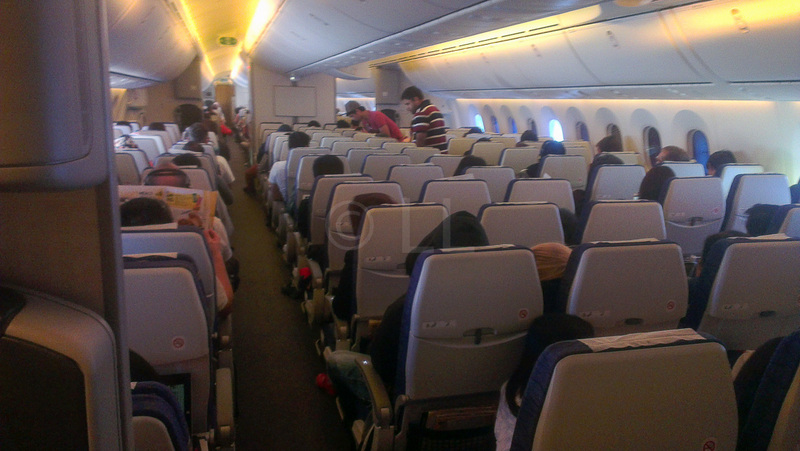 The aircraft is new and comfortable and they were punctual. Remember to have an empty water bottle to fill before you board! We flew Scoot Airlines’s Singapore – Melbourne overnight TZ22 in early March 2016, returning via Gold Coast, three weeks later. Co-incidentally, the plane used for both legs was the same, named ‘Lickety Split’. 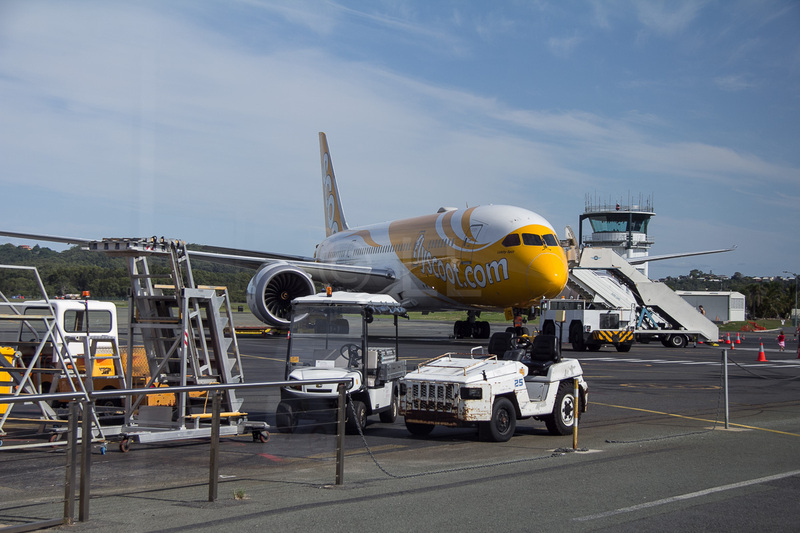 The plane is new – the entire Scoot fleet is made up of ten Dreamliners with ten more on order giving an average age of less than a year (at the time of writing). Our aircraft was delivered in August 2015. We decided to catch the train from Brisbane as the first service of the day gets to the airport a tidy two hours before departure. The two hours should be adequate for check-in, immigration controls and security, but as web check-in is not available on this route and the flight was quite full, there was a long queue that moved quite slowly, leaving very little time to get through security twice before arriving at your boarding gate. ** Web check-in is only available on flights out of Singapore. It’s important to note that domestic and international departures at the Gold Coast airport leave through the same security entrance and there is a second more vigilant international security check to get into the immigration and then the departure lounge. You need to allow plenty of time as there is usually a bottleneck at this point. If you have GST/TRS to claim, allow even more time as there is only one small counter and it’s quite crowded. The flight pulled back from its bay on time at 9.25am, arriving at Singapore Changi Airport Terminal 2 on time just after 3pm. Making the booking was smooth. This writer took advantage of the Tuesday specials and picked up a good deal for a basic fare. It was also easy enough to add the FlyBagEat option which included an Economy seat, 20kg check-in baggage and Meal, Drink and Snack for SGD57. On this return journey we opted for seats in the normal Economy cabin. 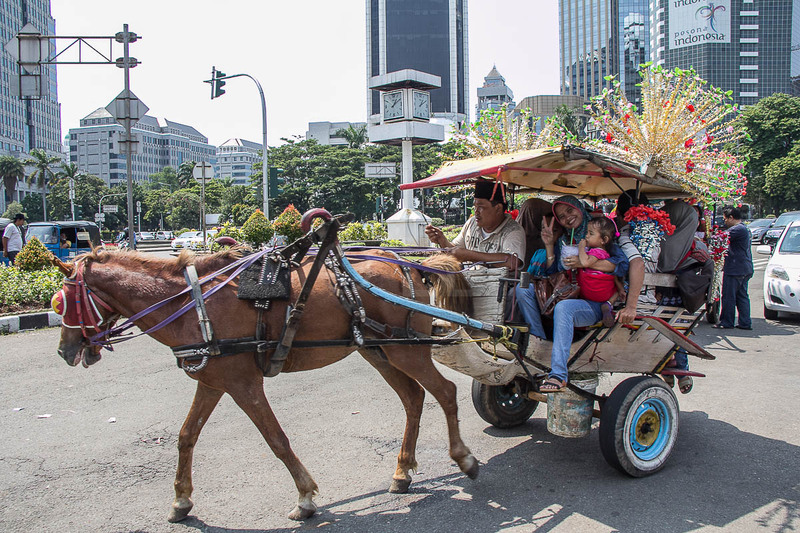 Adding extra baggage – we needed an extra 10kg baggage on our return journey. This was easy to add through ‘Manage my Booking’ and cost SG$34 for the 10kg. BTW, if you have a laptop with you, you get an extra 3kg cabin baggage allowance, making a total of 10kg. The rows of nine seats arranged in threes across two aisles, so unless you’re in a window seat, you only have to climb over one person to get out of your seat. The lighting and humidity control are two of the most talked about features on this aircraft which relate to general passenger comfort. It was a pleasure not having to keep applying moisturiser or lip balm and the water we brought with us was sufficient to help stay hydrated. 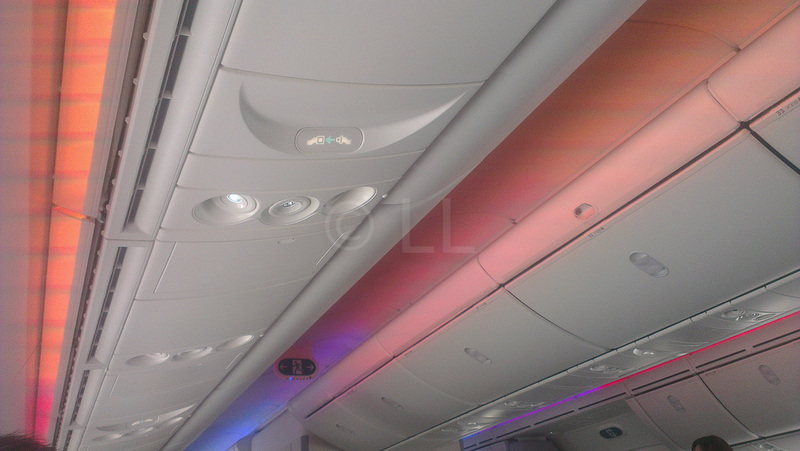 You hardly notice that the ambient lighting cycles through a range of rainbow colours, it’s easy on the eyes and the difference is not noticeable. 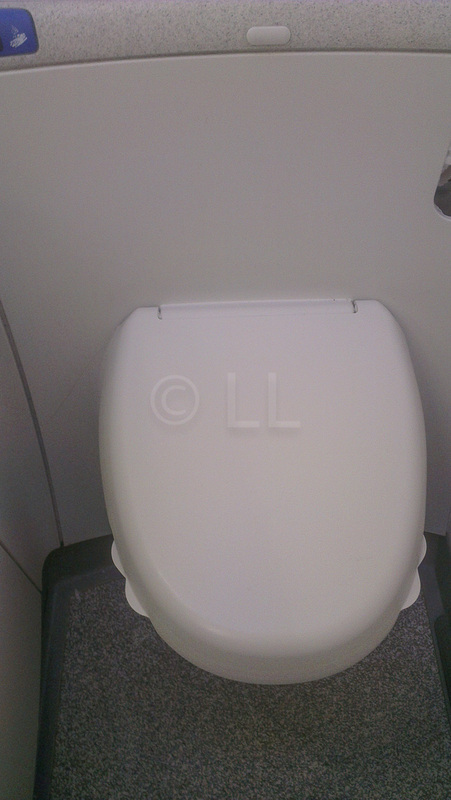 The toilet seat has a little tab on the side so you can raise it easily, as does the seat. 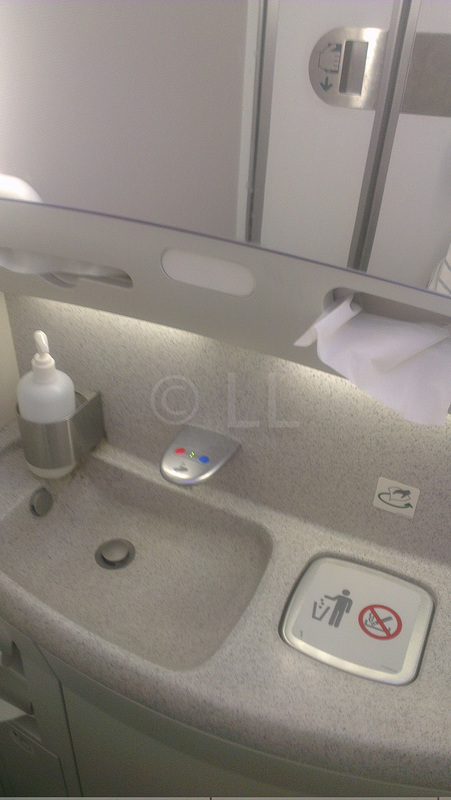 Then when it comes time to flush, you just have to wave your hand over the sensor – no need to press the flush button. 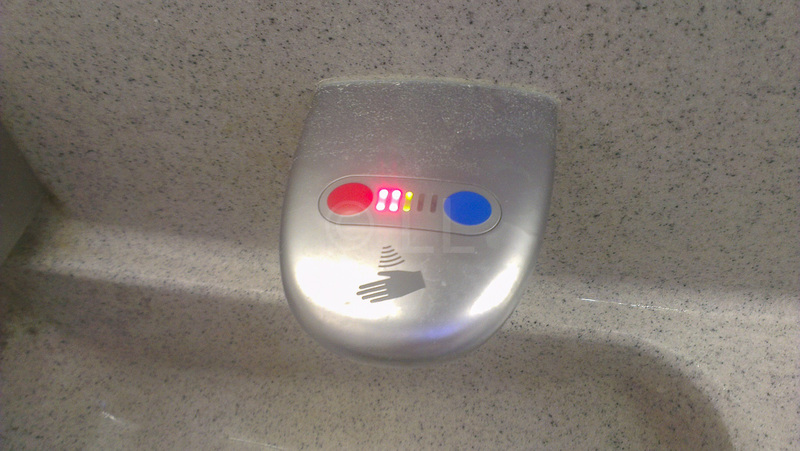 The sink is easy to use and not tucked under the mirror so you keep hitting your head if you try to wash your face and the hot/cold adjustment is done electronically by pressing the red or blue dots. 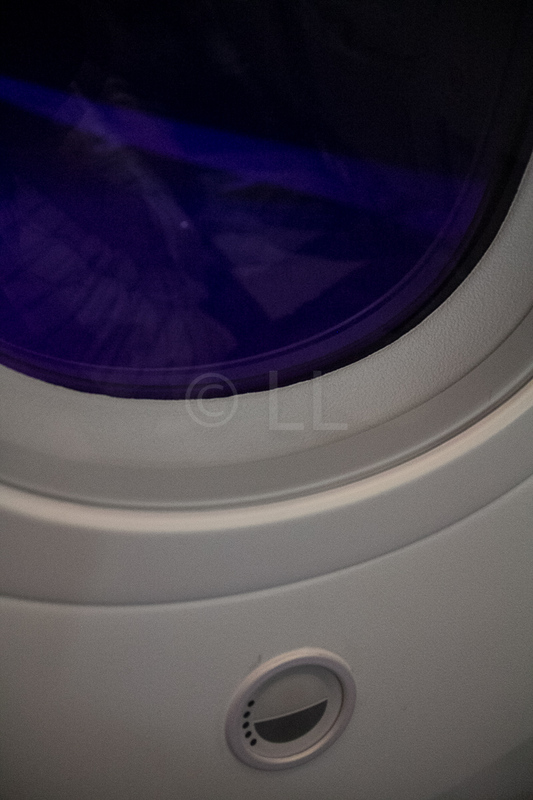 The other feature people talk about is the electronic window shades. the press of the control under the window brightens or darkens the glass, so you can block out the sun, or watch the sunrise. Be aware though, that staff can over-ride the controls, so you may find as we did on our overnight trip out of Singapore, that your preference ‘may not be available’. Don’t expect the change to be quick either, it’s a bit like the transition in your glasses that respond to the sunlight – it takes time. The seats in the general economy section are standard seats, with the rows of nine seats arranged in threes with two aisles. 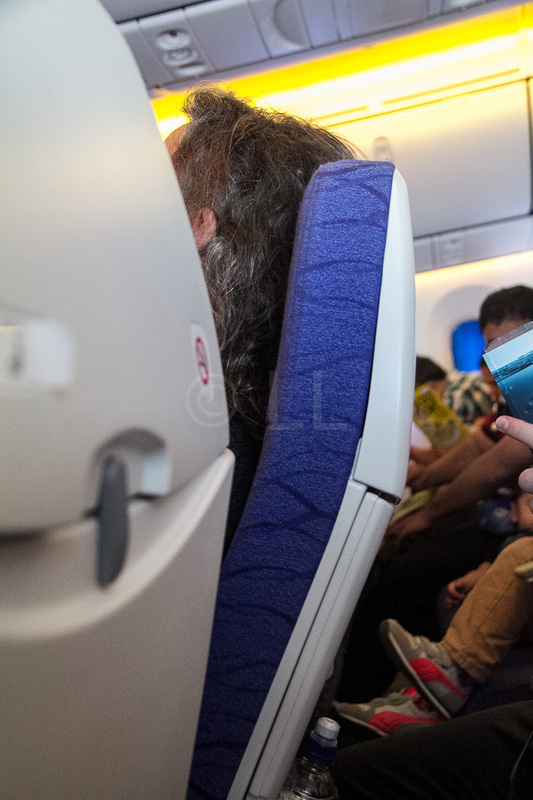 Seat width of just under 19″ (67cm) is adequate for average sized travellers. With the streamlined armrests, this makes the available space comfortable for most average sized passengers. The cloth covered seats were comfortable and reclined adequately without impacting on the passenger behind. There is no headrest on these seats, so remember to take your neck pillow if you need some support. 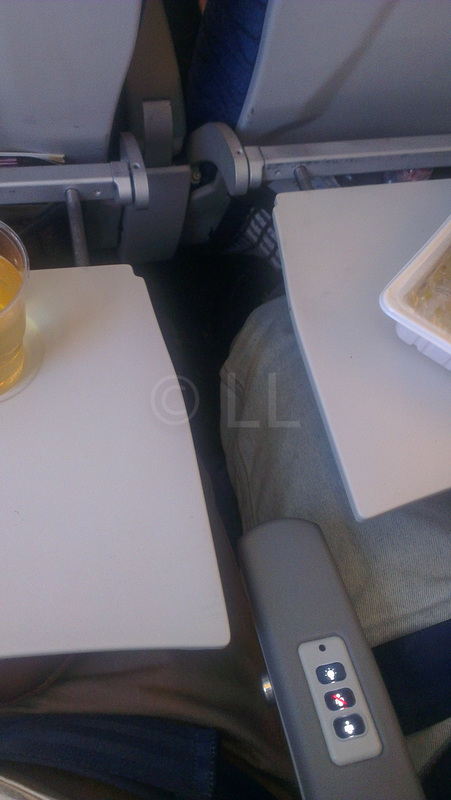 The legroom of 11″ was pretty much standard in economy seating, the extra space which comes from the thin seat back contributed to this, making it easy for the long legged. 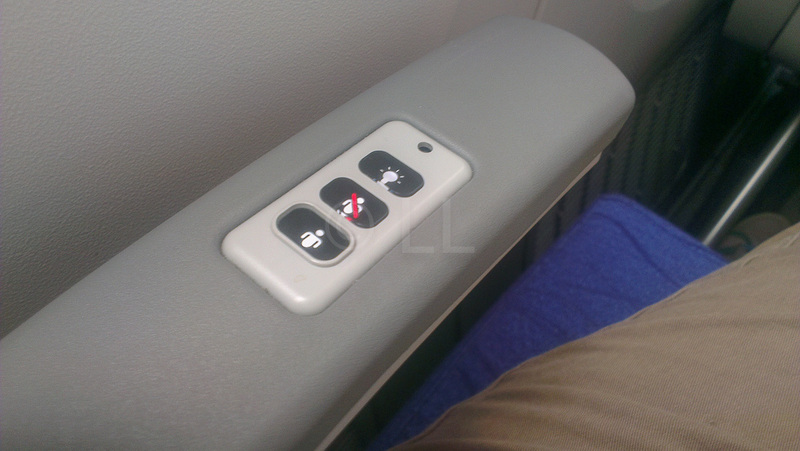 It’s also easier for window and middle seat passengers to get out. Unfortunately, there is no footrest. Free entertainment is not available on this service. Therefore there’s no under-seat box reducing foot room for window seat passengers and seats are thinner as there is no built-in screen. The fold down table is spacious with a recessed cup holder and there is paid-for power available beneath the seats. It’s not easy to find though. If you need wifi, you can either pre-purchase online by time or amount of data (20MB) or from the attendants. In-flight power to keep your batteries going is free in ScootBiz, but you pay for it in the Economy section. The choices for pre-ordered food are quite limited, but if you plan to pre-order, you will save money. 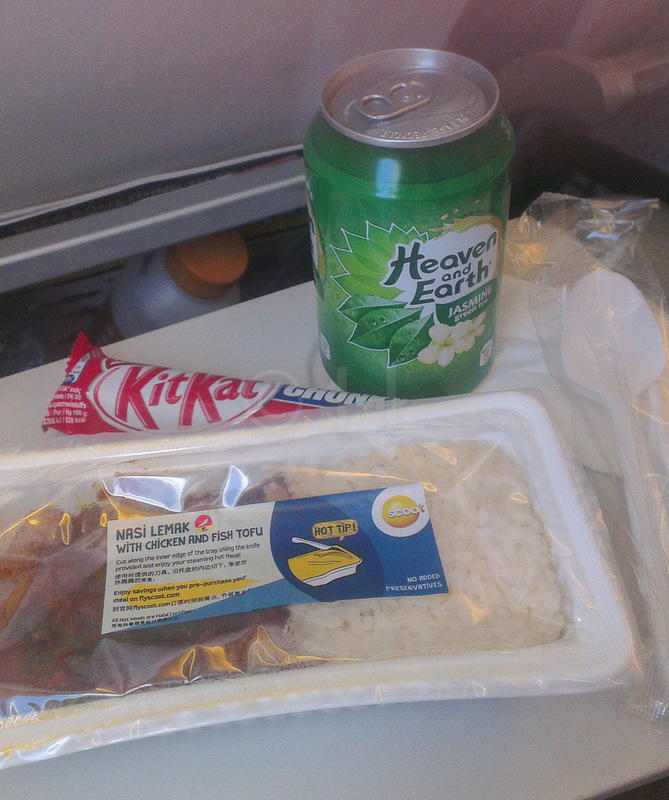 The meal comes with an included chocolate snack and choice of canned drink. 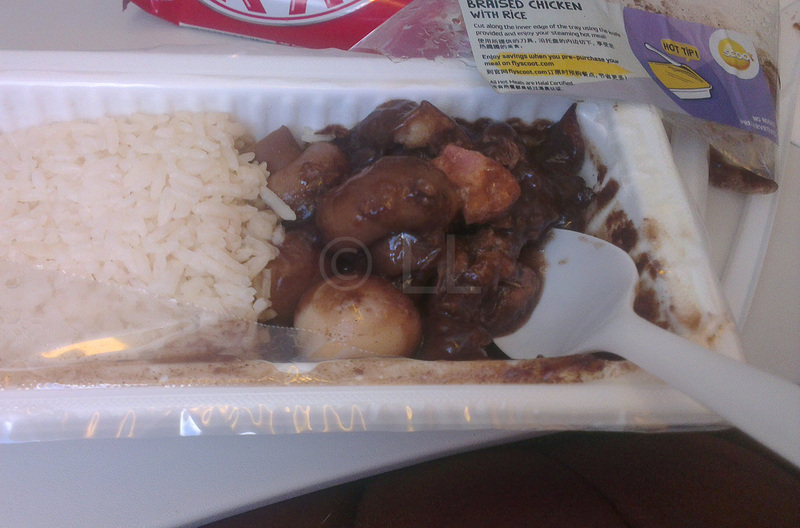 On-board offerings are also limited in choice and quite pricey as are drinks (SG$4 for a small bottle of water). Carry an empty water bottle in your hand luggage. Fill a bottle at the airport just before you board, after the security check. In the Gold Coast airport, there is a water fountain in the corridor to the washrooms near the newsagent. Give yourself enough time, there will definitely be a queue of ‘those who know’. As for the food, it wasn’t much better than what we were served on the inbound trip. 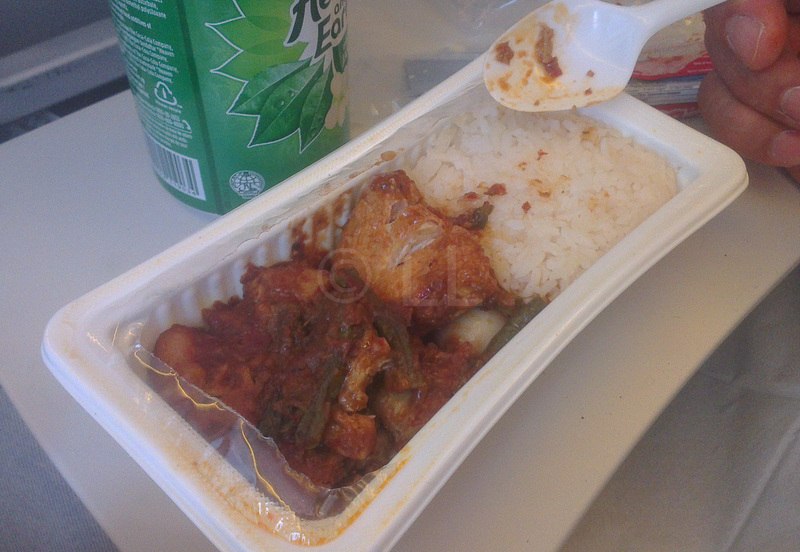 The nasi lemak came with a very odd addition of fish and tofu. The braised chicken was heavy on thick sauce but light on flavour. We were happy with our selected seats 34 A & B, it was comfortable enough for a day flight, though the lack of a headrest may have been uncomfortable on an overnight flight. The airconditioning was the noisiest intrusion, and announcements could be heard well in both the cabin and the washroom. If you’re worried about disturbance from people queuing for the toilet, stay away from the last few rows. There’s really nowhere else to wait other than in the aisle. These seats are also close to the rear Galley. 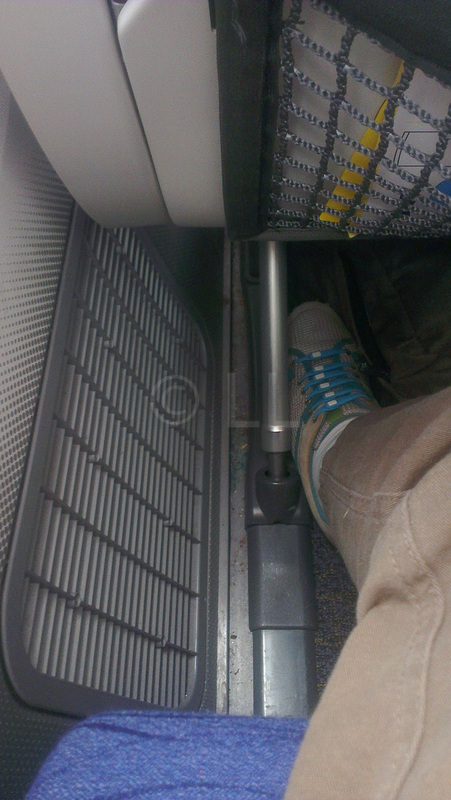 Window seats have the full footroom as there is no entertainment unit under the seat in front. However, you still have to climb over two people to get out to the aisle. Be at the airport early – at least two hours is necessary in case the queues are long. Have a meal before you leave and eat when you arrive.